Capricorn’s UK Head Office is based in Hammersmith. It is one of the most well connected buildings in London, with direct access via road and public transport. The Capricorn office is on the third floor of the Hammersmith Broadway office complex, which is located on the main Hammersmith roundabout, just off the A4/Talgarth Road. There are a number of public car parks in the area, as well as on street parking, both of which are chargeable. However, we can also arrange free of charge visitor parking in our underground car park. If you wish to do this, then please just give us 24 hours notice and this can be arranged. The entrance to the Capricorn car park can be found on the right hand side as you circulate on the A219 – so the main Hammersmith roundabout. When you see the turning to the Fulham Palace Road on the left hand side then our entrance is directly opposite on the right. The Apollo Theatre is just a little way further up on the left, and this should be a handy landmark for you. If you see this then you have come too far and will need to do another lap of the roundabout. If you are coming by Bus, or on the Piccadilly or District Lines then these will drop you in the main Broadway shopping centre. From here you can find the entrance to the Capricorn office handily located between Boots and Accessorize, so within the main shopping concourse. 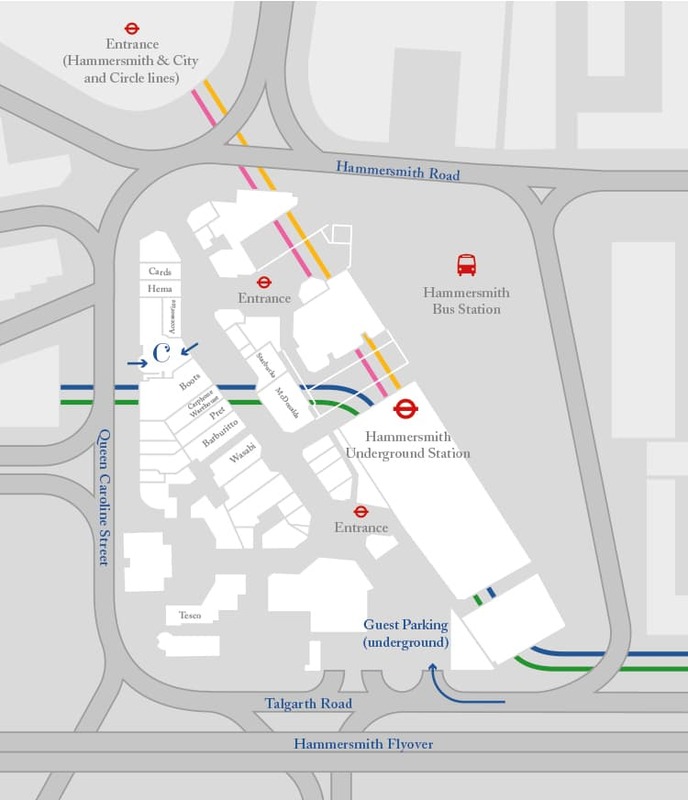 If you are coming on the Hammersmith and City or Circle line, then as you come out of that station you will need to take a left and walk down towards The Broadway shopping centre. Again you will find the entrance to the Capricorn office between Boots and Accessorize. Once you get to the entrance just press the Intercom and come straight in. If you have any issues whatsoever in finding us, then please contact Inar on 0203 111 0900 or call your Capricorn Adviser directly and they will help.